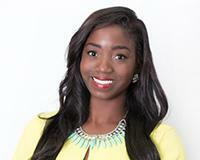 Ivy Kessie is a former healthcare consultant who has lived in Dallas for over half her life. Born to Ghanaian parents in DFW, she lived in Ghana for most of her childhood and later on relocated back to Dallas where she attended university. She enjoys working with people which is what led her to her career in real estate. With a vast knowledge of the DFW area, she can help you with all your real estate and global relocation needs.